I received this duvet cover with in several days of placing the order. It is exactly like the picture on the internet. The colors are very vivid and turned out to be exactly what I was looking for to match some existing furniture upholstery in my quest bedroom. The pattern is beautiful and the fabric is incredible light and soft to the touch. Love it. Absolutely beautiful duvet! I am in love and looking into buying more like this. The colors are vibrant. The prints are so beautiful. 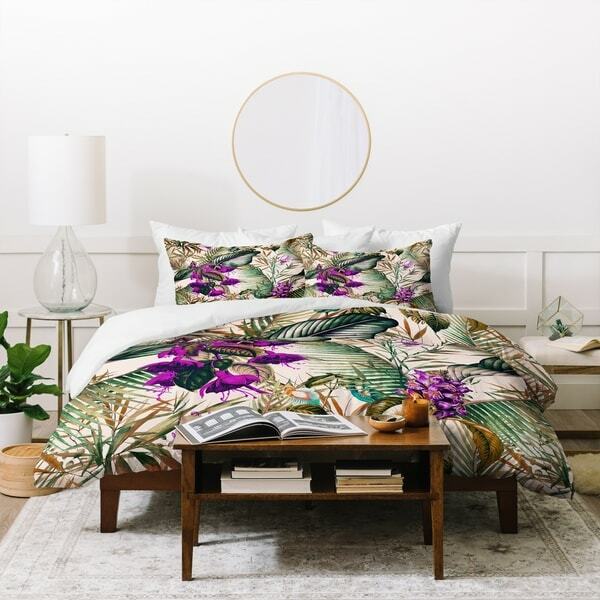 It transformed my bedroom into a tropical paradise. I would definitely recommend this item. Looks exactly as pictured.